ÐÑÐ¾ÑÐµÑÐ¸Ð¾Ð½Ð°Ð»Ð½Ð°ÑÐ° Ð±Ð¸Ð·Ð½ÐµÑ Ð¿Ð»Ð°ÑÑÐ¾ÑÐ¼Ð° Ð·Ð° Ð¼ÐµÐ±ÐµÐ»Ð½Ð°ÑÐ° Ð¸Ð½Ð´ÑÑÑÑÐ¸Ñ. Ð° Ð² Ð½Ð°Ð³ÑÐ°Ð¶Ð´Ð°Ð²Ð°Ð½ÐµÑÐ¾ Ð½Ð° ÐÑÐ»Ð³Ð°ÑÑÐºÐ° Ð¼ÐµÐ±ÐµÐ» Ð½Ð° Ð³Ð¾Ð´Ð¸Ð½Ð°ÑÐ°. Over 12,000 visitors, successful business deals, high-quality accompanying program – these are some of the key messages of the biggest Bulgarian and one of the leading furniture exhibitions TECHNOMEBEL and WORLD OF FURNITURE. From 26 to 30 March, the two exhibitions filled all six exhibition halls of Inter Expo Center for yet another year. The number of foreign participants in WORLD OF FURNITURE this year marked an increase of over 50%, organizers Inter Expo Center and the Branch Chamber of Woodworking and Furniture Industry announced. Over 190 companies from Bulgaria, Austria, Germany, Greece, Italy, Poland, Romania, Turkey and Ukraine took part in the international exhibitions. On an area of over 14,500 square meters, companies presented machinery, technologies, materials, furniture, interior textile and decorations of more than 450 world renowned brands. The expectations are for even larger-scale international participation next year, announced Krasimir Stoilov, project leader at Inter Expo Center. A threefold increase in the interest in the Hosted buyers program this year. Owners and executive directors of 47 companies from 19 countries in Europe and Asia arrived at the exhibitions. In addition to the representatives of Western European companies, there was significant interest from companies from the Middle East. Over 350 business meetings were held, Ivaylo Todorov, manager of “Market Research” at BCWFI, shared. With its pre-planned business meetings, the Hosted buyers program provides new opportunities to Bulgarian and foreign companies to establish partnerships, conclude deals and expand their activities. This year TECHNOMEBEL AND WORLD OF FURNITURE established themselves among the most significant professional platforms for the sector in Southeastern Europe as well. Among the most important indicators of the exhibitions’ success quoted by company participants were the high degree of business attendance, the multitude of established contacts and signed deals. Another factor contributing to the enrichment of business forums was the diverse accompanying program. The Conceptual Talks discussion forum was held for the first time and it attracted over 180 participants. Leading Bulgarian and foreign architects and designers presented the modern trends in interior design. We spend 90% of our time indoors, which is why the forum shared ideas for transferring nature into the office and at home. The use of modern technologies combined with the introduction of freedom and biophilic elements were among the highlights of the event. Modern innovative trends also based on successful last-century concepts were presented by architect Jeroen Schipper from the Netherlands and architect Emilia Giordano from Italy. Space is utilized, rooms come to life in fresh colors with modular furniture and more freedom for creativity, which proves that the designer’s work gives society exceptional value. The important role of the interior designer for the business was only one of the topics discussed in the open discussion and by the Association of Interior Designers. TECHNOMEBEL and WORLD OF FURNITURE were a reflection of trends in the furniture industry for yet another year. The furniture of 2019 is functional and modular, made of natural fabrics and materials. The companies presented a diverse program, demonstrating new machinery, robots for modernization of production processes, new operating systems and mechanisms, different panel models, slabs for constructing high-quality furniture and modern furnishing. The traditional competition Bulgarian Furniture of the Year was held for the ninth time. 14 products from 12 companies were nominated. This year, “Floor Lamp E” from Studio Zappriani won first place, the runner-up was “Narvik” chair from Bulgaru, and the professional jury ranked third the bench “Sense” from Love 2 Design. A competition for the best stand was organized for the third time within TECHNOMEBEL and WORLD OF FURNITURE. THE Stand competition encourages companies to create increasingly interesting and impressive stands. The jury selected three finalists from TECHNOMEBEL and three from WORLD OF FURNITURE. THE Stand competition for TECHNOMEBEL was won by ROSI EOOD, the other two finalist companies were Kastamonu Bulgaria and Salex OOD. At the WORLD OF FURNITURE, the jury awarded the stand of Diverso Mobili Group OOD first place, S.I.C. and Feydom came second and third. For the future professional staff in the furniture business, there was a dedicated area “Panorama of Bulgarian Education”, where representatives of more than 8 high-schools took part. The initiative, comprising a series of workshops “Competition for Knowledge”, was directed towards university and professional high school students. For the youngest, there was a children’s drawing competition “My Dream Room”. For yet another year, Inter Expo Center and BCWFI focused on education as a major factor in the development of a successful and professional business environment in the future. 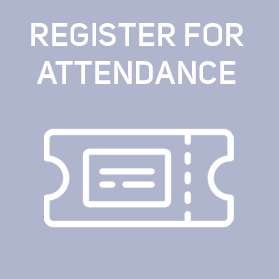 The next annual meeting of professionals in the furniture industry at TECHNOMEBEL and WORLD OF FURNITURE will take place from 17 to 21 March 2020. 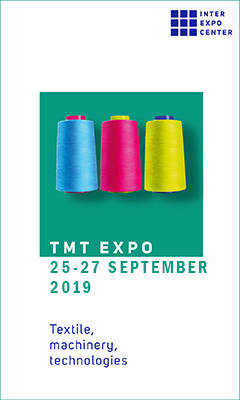 Complete information about the highlights of TECHNOMEBEL and WORLD OF FURNITURE 2019 and all upcoming topics and initiatives of the 2020 edition can be found at: technomebel.bg.